"One of New Orleans' most interesting artists." Ally Burguieres is an artist, designer, and inventor specializing in popular and conceptual pieces. She has shown work in Brazil, England, France, Germany, Ireland, and the US. Among her popular décor collections is “The Notebook Series”, a sequence of large acrylic paintings mimicking sketches on notebook paper. She also invented the Wish Dog (patent pending), a small hand-made trinket that burns wishes with a smoke-blowing effect. In 2011, she rented 11 pieces and created custom artwork for the National Geographic original IMAX film Hidden Worlds, and her innovative bead design was selected for production as the official NFL and Courtyard Marriott medallion for the 2013 Super Bowl. She currently teaches Media Arts at Tulane University and holds a PhD for her writing and research on art and media in everyday life. Her academic background includes a Bachelor’s in Literature, a Master’s in Journalism, a second Master’s in Communications, and her writing and multimedia contributions have been featured in The Washington Post, National Geographic Traveler, and other print and online publications. 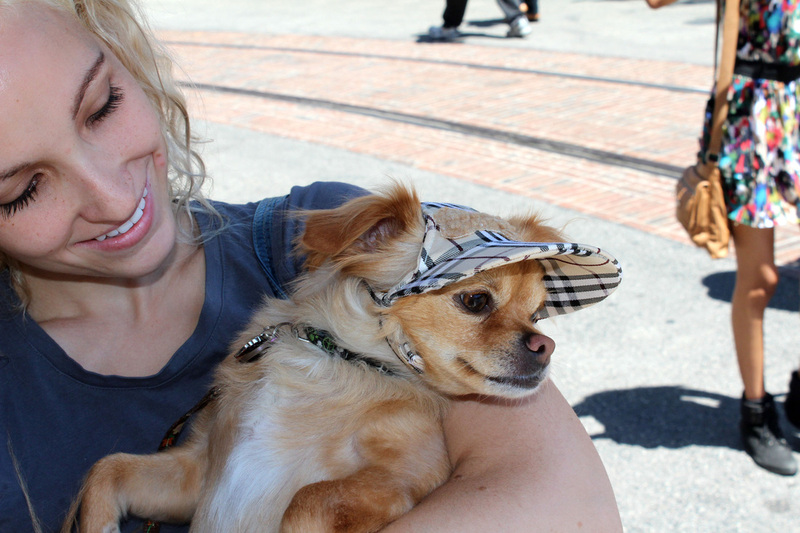 She has four sisters, is devoted to animal rights and conservation, and share updates on her art adventures and vegan lifestyle at @allybnola. 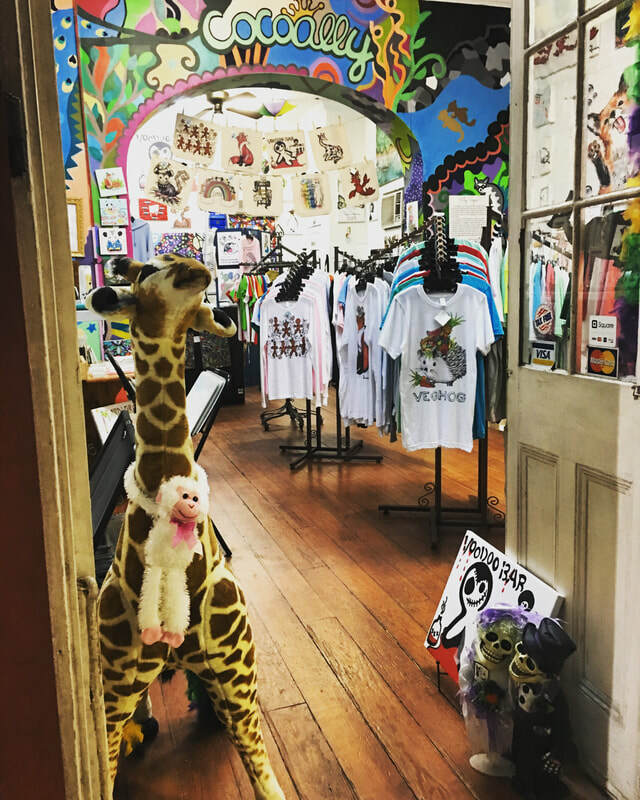 Her brick-and-mortar shop — which she owns and operates with her mother Janice — opened in Summer 2011 in the center of the New Orleans French Quarter, at 736 Royal Street. A second French Quarter shop, called Cocoally and featuring her designs on clothing, opened November 2013 at 630 St Ann Street. 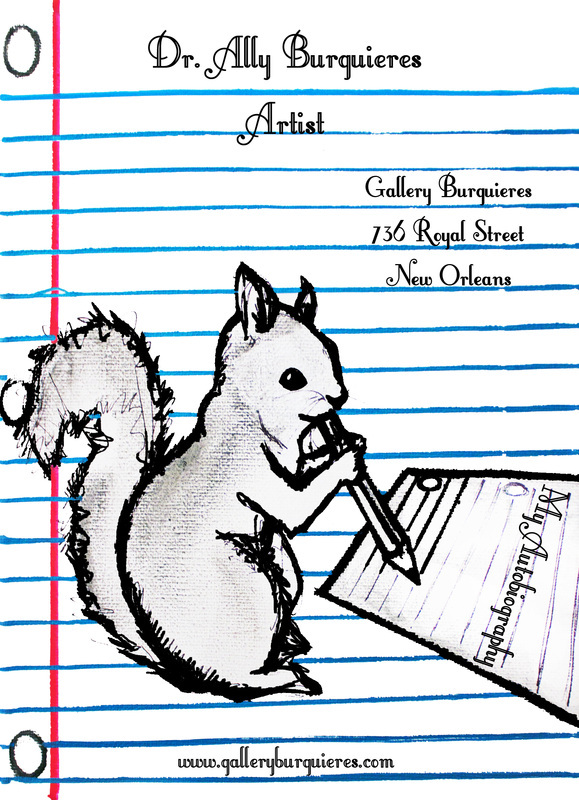 Located at 736 Royal St., you can find our flagship art gallery in the center of the Royal Street arts corridor right behind Jackson Square in the heart of the French Quarter. Original canvases, fine prints, collectibles, and other fun and amazing items! Come by for a visit to see where it all started! At 630 St. Ann St., around the corner from Gallery Burguieres. Have the best day ever exploring all of Ally's designs on art, apparel, and merchandise! ​Our BRAND NEW location at 1330 Prytania Street, in the Lower Garden District, right next to Seed Vegan Restaurant! Featuring our most animal-loving and vegan-pride designs. This is NOLA vegan headquarters ya'll! Large Prints, Small Prints, and Canvases 8"x12" or below are typically sent within 2-5 business days through the Unites States Postal Service (USPS). *Canvases larger than 8"x12" (Large Canvases, Extra Large Canvases, etc.) may take a few weeks to ship. * If you have any special shipping requests or delivery deadlines: we will see any message you leave in the comment section when placing your order, but you may also email us at Juliette@Cocoally.com or call/text (240) 994-0851 to confirm that we can accomodate your request before placing your order. We are always happy to include a special message from you to the recipient! We are a small local business and can not facilitate refunds, but we are happy to exchange any items that were not just right for you. 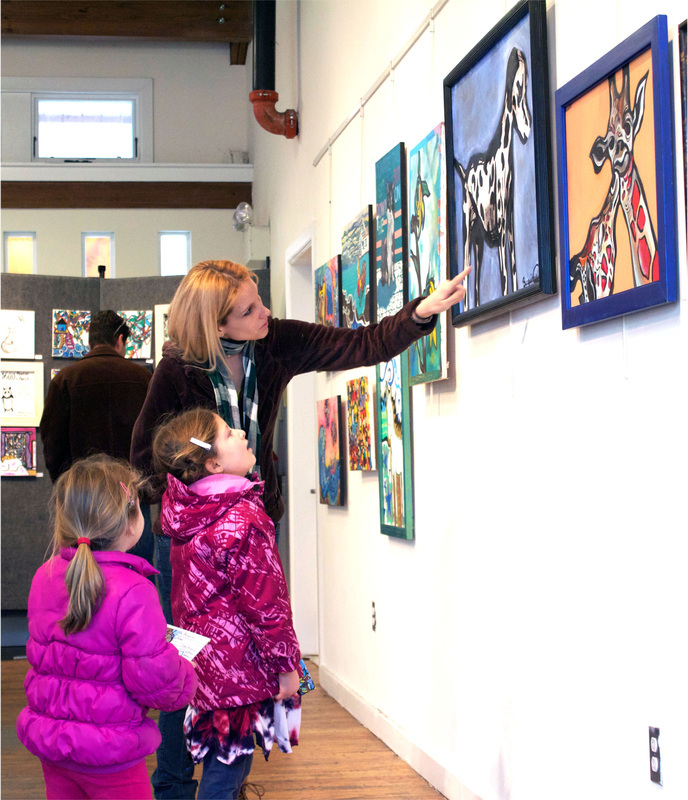 It is our mission to make sure you are happy with our artwork. Just return the item(s) to us within 30 days and we will be happy to exchange it for anything we have of equal value that your heart desires!